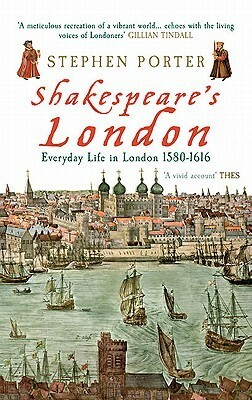 Shakespeare’s London: Everyday Life in London 1580 to 1616 is a thorough and detailed look at the English metropolis during the early modern period. While other books have taken similar approaches, none have honed in quite so specifically on a particular place at a very particular time. Porter uses not just Shakespeare’s life but his time in London as his fenceposts, and this allows him to delve, as we like to say in ASC Education, deep and narrow into a moment in history. The book also does a great job of tying the social history into the world of the plays. Porter frequently refers to various plays by Shakespeare and his contemporaries, illustrating how the temporal reality of London found its way into so many stories on the early modern stage. Playwrights like Dekker and Middleton often put London itself right up onto the stage, and Dekker was also a pamphleteer, whose observations about the world around him tell us much about life in the era. Shakespeare may never have written a city comedy, but that definitely does not mean that his London was absent from his plays. Porter relates the conmen and petty criminals of London to Mistress Overdone’s customers in Measure for Measure, and he suggests that “Shakespeare’s metropolitan audience at The Winter’s Tale no doubt smiled at the pretentiousness of the newly-rich shepherd and his son’s shopping list for their sheep-shearing feast,” based on recognition of the produce and spices traded out of London to country burghers (120). He points out that the Boar’s Head tavern in Henry IV was likely the same as that in Great Eastcheap, near to where the Lord Chamberlain’s men then played in the winters. The diseases and pestilence mentioned in so many of his plays were those that the people of London lived with and feared spreading. Any Shakespearean reference to apprentices reflected the vast population of young men in the city who, while vital to the economic structure, were also apparently prone to lethargy and rioting. Shakespeare’s London clearly lives in his plays, no matter if they’re set in Italy, Egypt, or Bohemia. My biggest criticism of Shakespeare’s London is that I think this book could have benefited from a different organizational structure — perhaps by sub-dividing chapters or by simply having more chapters. There are only eight in the 250-page book, and so each one has a lot of topical ground to cover. As a result, sometimes the sense of storytelling is rather haphazard. A few chapters get a little “info-dump”-y, while others seem to have a strong narrative which then gets derailed. The best example of that is when the section on printhouses and print culture comes in the middle of a chapter which is otherwise about demographics and the early modern life cycle. 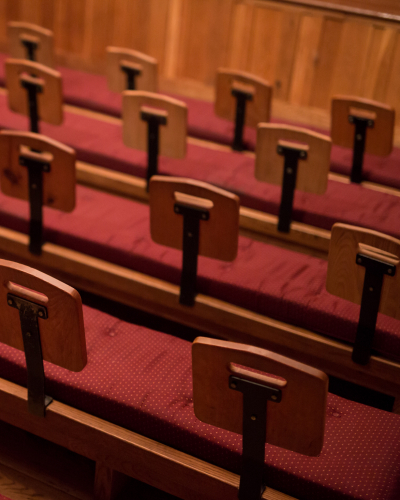 The information is both interesting and useful, but it sort of comes out of left field. Printing also doesn’t get a mention in the index (which seems to focus more on proper nouns than on broader topics), so if you picked this book up specifically looking for information on that subject, it would be difficult to suss out where to find it. Information about the playhouses and playgoing culture is also scattered through a few different chapters. On the whole, though, Shakespeare’s London is chock-full of fantastic, detailed information, much of it straight from the original sources. I think it’s most comparable to David Cressy’s Birth, Marriage, and Death: Ritual, Religion, and the Life Cycle in Tudor and Stuart England : a compendium of information, almost overwhelming at times, but providing a wonderful window into the lives of everyday citizens who just happened to live four centuries ago. Shakespeare’s London is one of the “suggested reading” texts for the upcoming No Kidding Shakespeare Camp, and I’m looking forward to taking its insights with me as we travel through London in a few weeks.